Quality 1st Contracting provides exceptional structural support solutions for new and existing foundations. 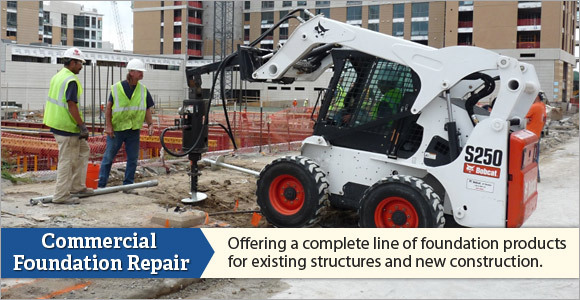 We're foundation repair experts who specialize in foundation support and repairs, providing services for commercial, residential, industrial, government, and municipal applications. We have built our reputation on unparalleled customer service. Our years of experience, industry knowledge and specialized training are devoted to helping our customers protect their home or commercial building from foundation issues. At Quality 1st Contracting, we're committed to fast, friendly, and reliable service. Our customers have appreciated our punctual, organized, and professional work. We are determined to be there for your structural and foundation repair needs. Whether you need push piers, helical piers, wall anchors, underpinning, polyurethane grouting, concrete lifting or more, Quality 1st Contracting can help you with your project. Contact us today for your Free Estimate for structural repair, as well as any questions you may have about product availability, pricing, or technical information.